In my many years in business, I have found that when your team feels inspired they will commit to you, their manager, their team, as well as the entire company, and great things will happen. Teams that feel inspired deliver peak performance and there is just no stopping them. Getting your team to this point is completely possible, but it requires work and careful planning. 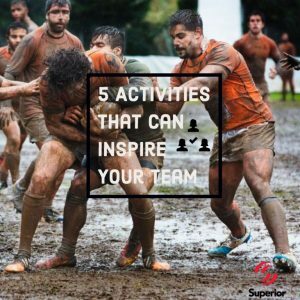 In a recent post for Superior Business Solutions, my brother and our V.P., Tim English, outlined five activities that can inspire your team. In an earlier post, Tim outlines actions managers can take to inspire their team. Teams are built from the top down, and managers are responsible for creating a constructive and productive work atmosphere. Actions speak louder than words, and through actions and gestures, managers set the tone. When managers are engaged and involved that sends a direct message to all staff members that everyone is in it together and part of the same team. From accepting responsibility to treating everyone fairly, giving employees the space they need to succeed and more, the way managers act and organize the work environment lays the groundwork for a great team. Attitude certainly plays a key role in building a team and motivating employees, but there are other practices that when implemented can help encourage staff members to commit to their teams and do their best work. Teams are made up of individuals and each individual has to be motivated to give it their all in order to create a strong team. That motivation needs to come from each team member, but with the right encouragement and environment, you can inspire people to be part of the team and work together. By adopting the below activities you can position your team for individual success. That individual success will, in turn, result in success for the team as a whole, and this positive momentum will make your team unstoppable. Enabling your team members to do their best work shows that you believe in them and their abilities. By showing your team that they are valued employees they will, in turn, be inspired to commit to their responsibilities and build a strong team. Entrusting your staff with the below activities sends the message that you are confident they will succeed and you want to be there to help. For more details, check out Tim’s post on how to inspire your employees to learn how and why you should implement these strategies. Tim also shares an idea about how custom promotional products can be used to help establish a strong sense of team at your company. 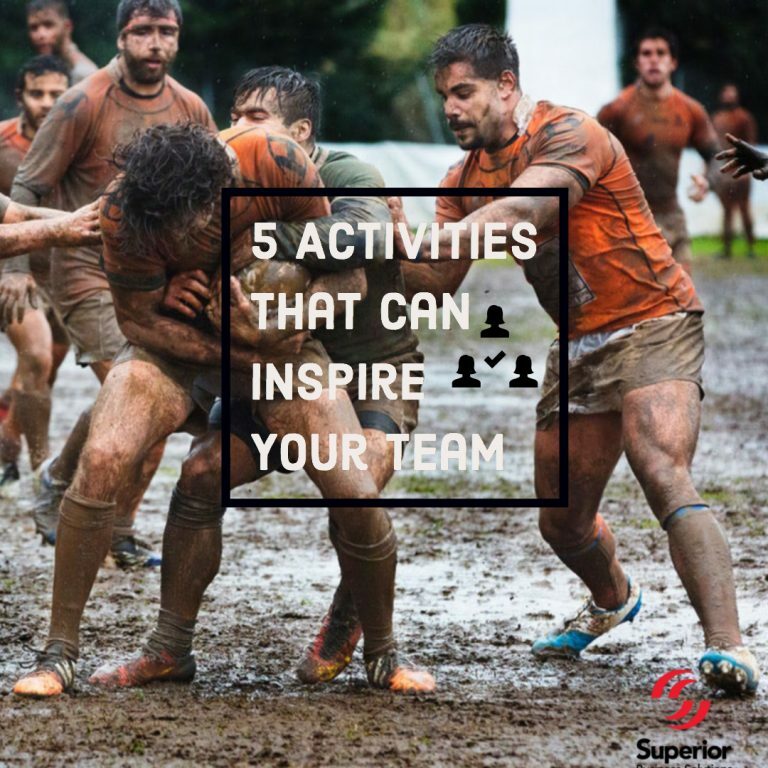 These activities are certain to inspire your team members to step up and give it their all, but there are other methods. Have you tried any different tactics to build a strong team from the inside out? Let us know in the comments!